….and your tastebuds, while making yourself feel good all over. You may be thinking, yeah, okay, I’ve tried that and it backfires in my face because I eat all the foods that I haven’t “been able to eat” since I started on this “health journey”. I hear that all the time. It’s like FEAR and DOUBT overcome you in that moment and it’s replayed every time you go to eat. FEAR of weight gain, Doubt that you will not be able to stop when you are full…. Let me ask you this, are you actually present when you are eating? Are you paying attention to how the food tastes? How it feels in your mouth? DId you know that is a NATURAL physiological response when you have deprived yourself of a certain food or food group for a period of time that you WILL overeat it. You will eat it like you are never going to be able to have it again! What would happen if I told you you could eat that chocolate chip cookie tomorrow too? Would you down the whole bag? Chew on that for a minute. You don’t have to eat a perfect diet to be healthy. It’s what you eat consistently over time is what counts, not perfection. You might be thinking, you’re a freaking dietitian and you are telling me that I don’t have to have perfect nutrition to be healthy….. and that is exactly what I’m saying. I’ve mentioned this several times that I am 100% knee deep in my own practices on eating and fueling my body so it performs in the most efficient way, that I feel amazing everyday and that I ENJOY food. In fact, I’m thinking about what time I am going to visit Four Fat Cow’s tonight, a local gluten free ice cream shop here in town. Now, let me be clear…you cannot have cookies, ice cream, candy and sugar everyday and be healthy. What I am saying is, listen to your cravings, they are there for a reason. They are little insights into what is going on inside of your body and mind. If you are craving a hamburger, then eat a damn hamburger, but get the best form of a hamburger ( grass fed, organic, etc). Then you can move on with your life instead of being mentally stuck on the foods that you can’t have. Often I find that WE are the ones that need to give ourselves permission to eat the foods that we put on our “bad list”. Let’s get deeper into that- let go of the shoulds. I was having a conversation with a client a few days ago about these lists of foods that you should or should not have to lose weight, gain weight, cure cancer. Allow me let you in on a secret- there is NO one food or group of foods that is going to magically help you lose weight, gain weight or cure whatever disease you may or may not think you have. Gentle nutrition– not militant nutrition, tapping into your cravings, your hunger level and how you are feeling before meals while asking yourself what you realllllly want and fueling with that… THAT is what keeps you healthy. Let’s face it- blueberries may help decrease your risk of cancer, but if they give you diarrhea or a headache, guess what, they are fueling that disease. Tapping into my own body wisdom, taking a pause and asking myself what I want or what I feel like having has created the biggest shifts in how I fuel my body. I enjoy food so much more now and not to mention, I just had all my blood work done and it was beautiful. The best part— I didn’t stress about getting all those damn super foods into my diet. So long story short here…..Don’t use nutrition as a dieting weapon, use it as an ally for health. Pay attention to how foods make you feel. Eat with less rigidity. Honor your taste buds and health. Recognize and Acknowledge the damage that dieting causes. The harm is real and continues with each cycle of dieting. There are biological and emotional damages that are done and go further every time that we diet. Dieting is a form of starvation. Our bodies combat starvation at the cellular level. Survival of the fattest. Those who had enough fat stores in the past were the only ones that would survive. Our bodies are still equipped in this way. Chronic dieting teaches the body to retain more fat when you start eating again. Low fat diets double the enzymes that make and store fat in the body. Biological compensation. Chronic dieting slows the weight loss with each attempt to lose weight. It is shown in rat and human studies that dieting decreases metabolism, lowers the body’s need for energy, which increases binges and cravings. Yo-yo dieters have a higher overall death rate and 2X the normal risk of dying from heart disease, thin or obese. The harm in yo yo dieting is equal to the harm of staying obese. Stable weight is best. Just chew on that for a minute…. Can you tell I want to stop this diet madness? Learn what gentle hunger feels like. This is not the OMG I am so hungry I could eat a horse… the kind of hunger that hurts. Set a timer 2-3 hours after you have eaten a meal to check in. Gently check in with yourself when it goes off- ask yourself, AM I hungry? What do I want? This is going to take some practice, but once you learn what it feels like, you have more time to tap in and really feel into what you want to eat and enjoy it too! Toss out the food lists. 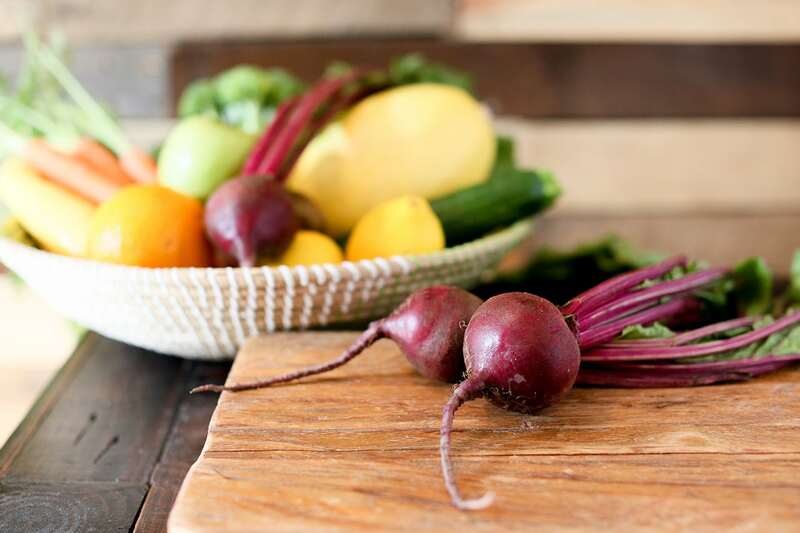 Don’t get me wrong, there is a lot of great information out there these days on nutrition, but getting stuck on these 5 foods for this and that will put you into a hole and cover you up with so much shoulds….. I should be eating this, I should be eating that…. really? Because who said so? Your body? Does it want green beans right now? I have seen lists like this and so many nutrition articles create food phobias, restrictive eating to only “healthy foods” when they don’t even enjoy them, it makes you feel like you cannot trust yourself with food AND AND AND the most important one that I see all the time that I am on a mission to shift is it disconnects you from your body- from your inner knowing. TRUST Your Gut. If a certain food or group of foods makes your stomach turn, your head hurt, gives you a runny nose I don’t care what list it’s on, DON’T EAT IT. Give yourself permission to feed your body what it wants, what it’s asking for. Pay attention to how foods taste when you first eat them, then pause after a bit, then turn your attention to your taste buds. Does that food that you have been munching on for a few minutes taste the same as the first bite? I bet you it doesn’t, because there is a physiological response that shows your taste buds actually start to turn off when you are full…. How ‘bout that?? IF you pay attention you will notice this…..
Now- I feel like I have to say this…your body will crave all of the foods that you have not let it have, so when you suddenly start craving sugary foods, or chips or whatever, you are going to have to go through that phase of eating the whole bag like there won’t be any tomorrow before that thought pattern can shift. 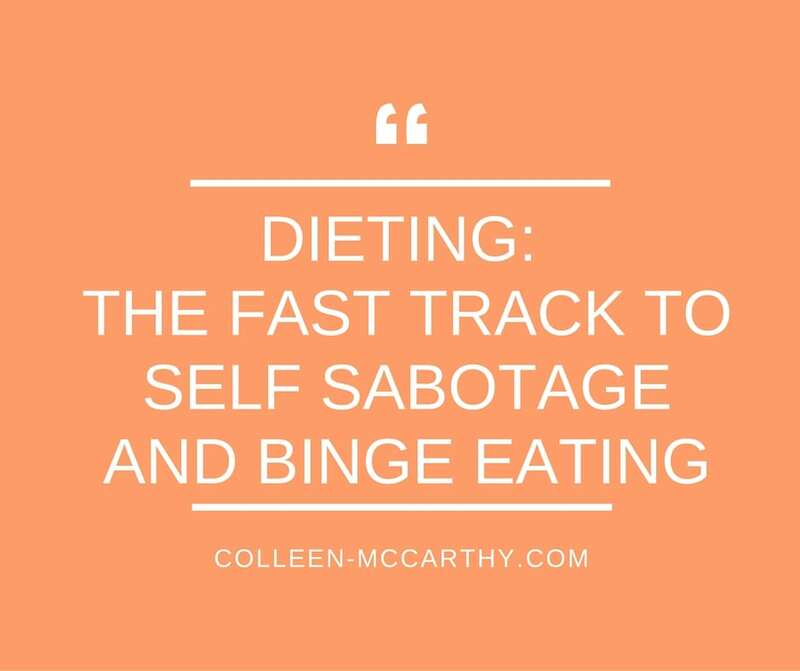 Soon, in the next few weeks I will be doing a webinar on Intuitive Eating Practices. The webinar information will be coming to you via email in the next week or so. 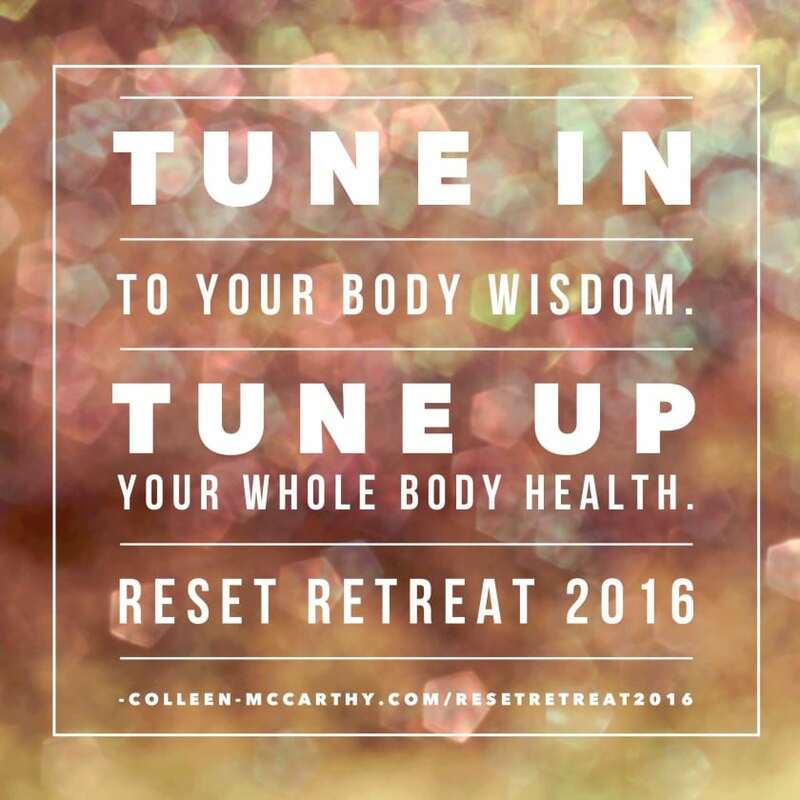 There will also be mini workshops and eating experiences of this type at the Reset Retreat in January! So, if you are interested in the retreat, head over here now and register before all of the spots are taken ( I am only taking 10 people and some of the slots are already filled). I hope this helps you move forward and away from the “diet” mentality. Be kind to yourself, come from a place of curiosity. Get curious about your habits. It’s a process, complete with ups and downs. This is NOT a linear process. It’s like investing in a long term stock. Eating what you should, only serves to disconnect you to your true likes and dislikes of food. It disconnects you from your internal self and preferences. I want to know– did this ruffle some feathers or open your eyes up to anything?? Contact me, let’s chat! ENTER YOUR DETAILS BELOW TO RECEIVE NEW POSTS VIA EMAIL. 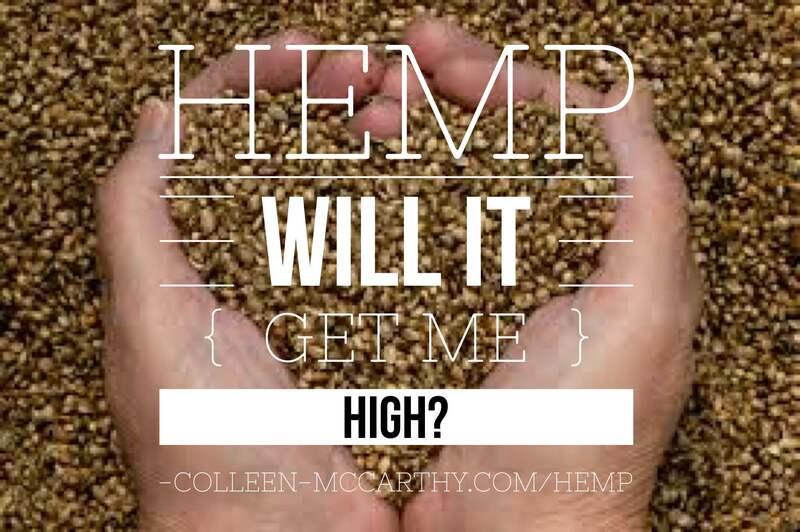 Reset, Revive and Redesign Chia Seeds—the “newest” superfood Hemp—Part 1 History and important questions you want to know! 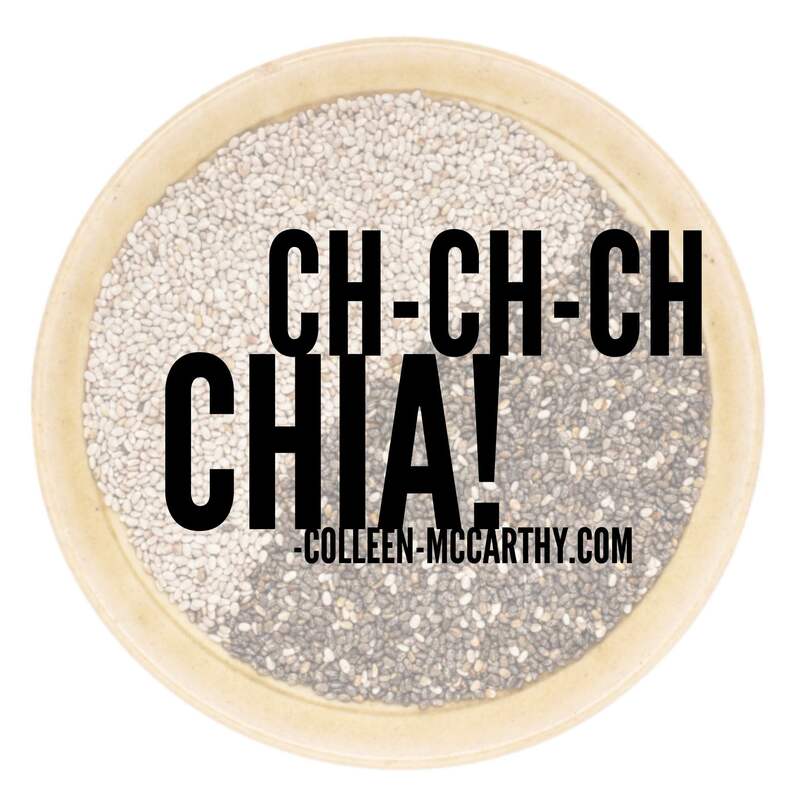 Kale is the New Black Why I Recommend to Ditch Your Diet….. This is an amazing article! I’ve gone back and forth so many times trying to eat the “right” foods, only to have many of those foods make me sick or miserable. I’ve dealt with so much fear, worrying that I’ll get cancer or Alzheimer’s disease, when all the while I should’ve just been listening to my body. I love your blog and am so thankful that someone posted this link on Facebook! Have a great day! I’m soo glad you found it helpful!!! Take a deep breath and trust yourself 🙂 There is so much worry around food these days that if we just relax and tap into how we are really feeling and eating the foods that make us feel good, forget all the lists of things you “should” eat…. You already know what is best for you! So glad you are here! Welcome! !